Clematis montana 'Mayleen' (Clematis montana 'Mayleen'): growing, planting, caring. This cultivar bears pink four-petal, strongly-scented floers in May and June, and possibly again in September if you’re lucky. 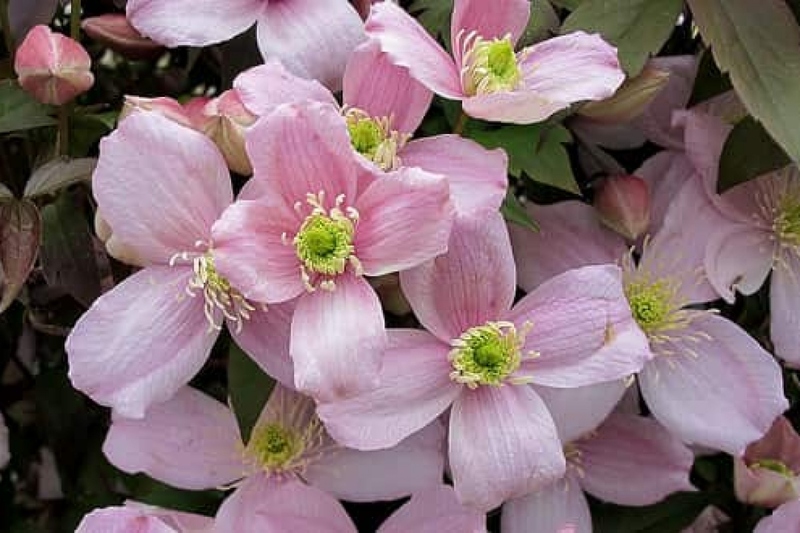 This cultivar of clematis flowers in May, in fragrant, pink and white flowers with four petals. Its leaves are composed of three leaflets shaped spearhead, pointed. Prune your Clematis montana after flowering, either in the summer or in the fall - it will not blame you! The more you cut the Clematis montana, the more it flowers! You have to shorten the stems without cuting too harshly. Cut short only dead branches and fragile stems.